Do not worry or change a thing! Like in art there is style and context to everything. Shabby and rustic have their place and clean with satin sheen has another place. Neither is right, but rather right for the context of your project. For me personally, the pleasure of working on a new interior is that I get to do and try things differently. 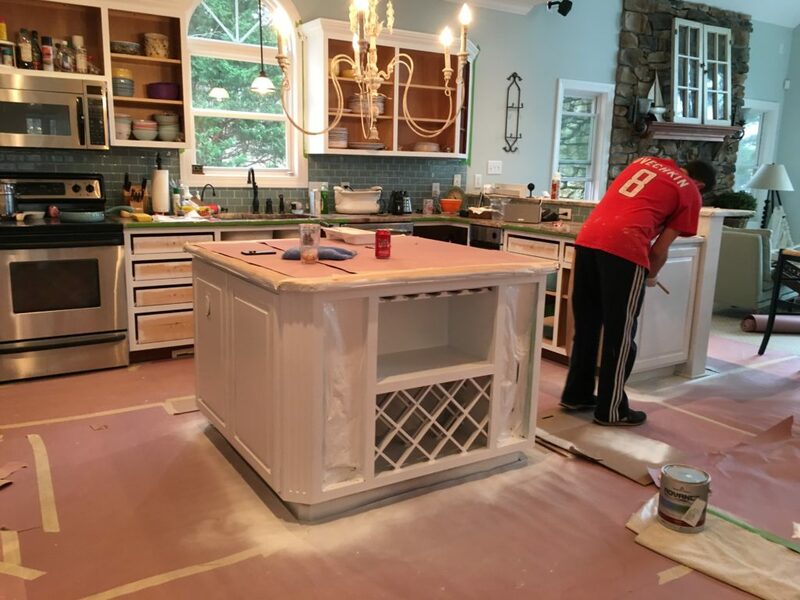 I want this lake kitchen to have a slight sheen instead of a rubbed look, therefore, we decided to spray. I will show you that there are many pieces at the lake that I have rubbed and painted with my beloved Old White and I won’t stop. I think this is a great time to talk about how a creative person needs to stretch and look around and if confined to a certain look is to, well, clip her wings in a way. For me, inspiration comes from exploring and looking at new things. I think about the artists and musicians that I love and they have each redefined themselves as their lives evolves. I think it’s safe to say that we are different today than we were 10 years ago. This is what keeps life exciting! 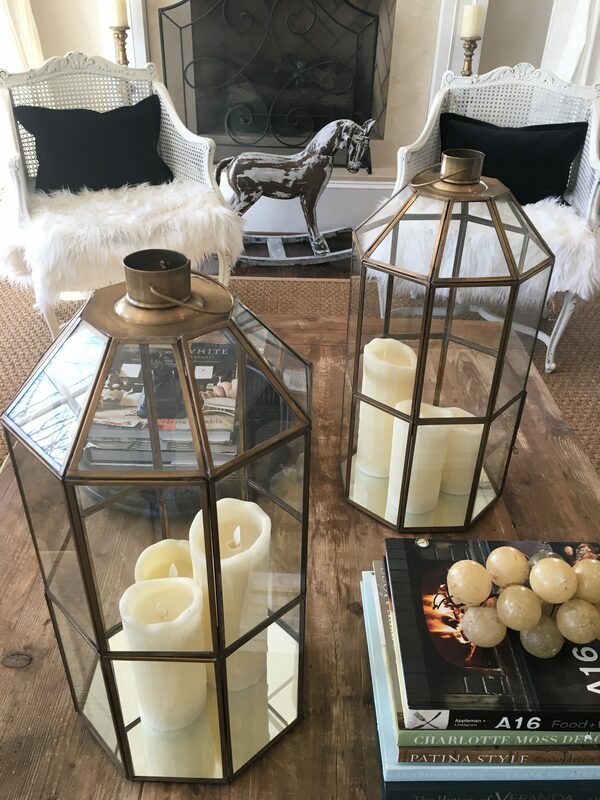 Hi Christen, thank you so much for sharing all of your beautiful decorating talents and creations! Love, love, love your taste in decor and painting! I have learned so much from your awesome videos in the past, that I finally got the nerve (yr ago) to pick up a paint brush and give some of my own pieces life again! I love your website and always look forward to seeing all your latest projects etc. Love all of your colors you choose for furniture and walls. I am looking for a nice neutral color for my basement walls but do not want to go with anything too dark. I noticed the last picture at top of your page (far right) which looks to be a nice light neutral color. I would love and appreciate if you could give me some color ideas in the neutral family. Like any lighter taupe/beige or light neutral gray’s. Not interested in blue’s so much but something that is all the way across neutral. My trim is a creamy white (not creamy as in any yellow cream tones) but not a white white. Preferably ideas that are Sherman Williams colors. My hubby is giving me one more day to decide on color! Yikes! Ha! Good luck with you lake house project…sounds like fun. I painted all th trim and doors n my home with a satin …I love it. I don’t care for a sheen on my doors and ceiling trim work. Satin certainly has it’s place. Love the finished white kitchen. You can never go wrong with white! Would you mind sharing the kitchen WALL color ? It is gorgeous with the white! So fresh and inviting. I would like to know kitchen wall color too!!!! Also… I am about to white wash a pine dining table. Have sanded the top slightly to get the varnish off. Can I just use a latex white flat paint to do this process. Watched your video using AS chalk pain on the round oak table. This is the desired look. Hello!! I was wondering how you got the look of the brown top on the coffee table you have on your home page.. Love the look and would like to do it to my kitchen table.. Also when you do a kitchen table to you recommend a wax or polyurethane to seal it since I will be wiping it often.